This is another collection full of classic story lines and characters. It’s also quite dark in tone but so was the previous collection’s Brood storyline. This collection deals with a lot of relationship stuff and introduces a pivotal character: Rachel Summers, Scott and Jean’s daughter from alternate time line. Her time line was glimpsed at in “Days of Future Past” and in issues focusing on Rachel we get to see the horrible (but by now quite familiar to fans) future where mutants and superheroes were (will be) hunted and put into concentration camps. After the X-Men of that time die, Rachel travels back in time in desperation to try to change her present and the X-Men’s future. Instead, she cames to an alternate past. We’re also introduced government’s mutant inventor: Forge. And several enemies: Selene who is a millenia old vampire-like mutant and Nimord, the super sentinel from Rachel’s future. Kitty and Storm finally settle their differences. Kitty has been horrified by Storm’s changes but they finally face the fact that Storm can’t live her life the way Kitty would want her to, but the way Storm wants to and needs to. Then Colossus brakes up with Kitty and she leaves the X-Men for a while. Meanwhile, Rogue has to face her own demons, Carol Danvers’s memories. Then, Gyrich shoots Storm with a weapon Forge designed. It’s supposed to strip a mutant from his or her powers – and it works. Storm loses her powers and is devastated. For awhile she’s still with the X-Men and proves that she’s still a warrior even without her powers. But in the end she decides to return to Africa to find a new direction to her life. In this collection, government’s paranoia towards mutants escalates. Senator Kelly is heading the mutant registration act and agents like Gyrich, who has worked with the Avengers in the past, are looking for ways to neutralize mutant powers completely. The start of the collection has a lot of magic in it, too. Unfortunately, none of the X-Men have magical powers so they have to rely on allies to save them. This look pretty grim. Meanwhile, the X-Men battle foes from Selene to Kulan Gath and the Morlocks. Warmachine’s father Magus is also introduced. The X-Men fight Juggernaut and Rogue has to combine the powers of several X-Men to beat Nimrod. The collection is quite dark in tone with Rogue’s and Rachel’s mental problems and Storm losing her powers. The hatred that ordinary humans feels towards mutants is also prominent. Annual 7 is much more whimsical in tone. Here, the X-Men come face to face with… Galactus, who steals their mansion. However, Xavier contacts them and tells them that while this is a very powerful being, it’s not Galactus. The X-Men chase the being to various places before finally getting to the bottom of the story. Apparently, some reprint editions also contain the four issue X-Men/Alpha Flight miniseries. I liked it; it had a quite a mythical feel to it. 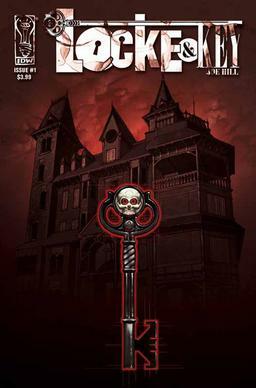 Locke & Key is a comic with multiple mysteries for the characters to solve. The story starts with the Locke family: the parents Rendell and Nina, and their kids Tyler, Kinsey, and Bode. The first issue alternates between the past and the present. In the past the Locke family is vacationing in Mendocino Valley where the parents are brutally attacked. Rendell is killed and Nina is brutalized. Kinsey and Bode are hiding from the two attackers while Tyler confronts them. The attackers are teenagers who knew Rendell. The present starts with Rendell’s funeral and then Nina takes her children to live with Rendell’s brother in the big Keyhouse in Lovecraft, Massachusetts. The family is trying to start a new life but they all have issues to deal with. Tyler knew one of the attackers, Sam Lesser, and ended up beating him throughly, so that Sam has multiple scars on his face. Kinsey lives in constant fear. She changes her hair to a less radical style so that the other kids wouldn’t stare at her in school. And Bode finds a magic doorway which separates his body and spirit. The he finds a girl who lives in a well. Of course, nobody believes little Bode. I found the first issue a little confusing because of the many shifts between now and then, but once the story starts rolling, it’s much clearer. The family dynamic is great. Even though the family has suffered a great loss and they are all trying to cope the best way they can, they are also trying to support each other. Tyler especially is trying to push down his own pain and fear, and be the rock for the others. He even thinks about killing himself at one point but realizes that he can’t do that to the others. It comes quickly clear to the reader that the Keyhouse is a magical place and the Locke’s uncle Duncan seems to know more about it than he’s saying. Sam Lesser also knew something about the Keyhouse that prompted the attack. Issue four focuses on Sam’s side of the story. The first trade of Locke and Key is a full of mysteries and may questions, as is usual for the first part. It’s also quite violent and doesn’t sugar coat the aftereffects of violence. This is a collection full of classic storylines and characters who are affecting stories even today. The collection starts with the Brood space adventure storyline. This story is darker than most of the previous ones because the queen of the insect like aliens has infected the X-Men with her eggs. When the eggs hatch, the host will die and the new alien has all of the host’s abilities. Often enough the X-Men face a possible death or injury in battle but this time they have time to think about things and know that there’s no escape. Wolverine even contemplates killing all of his team mates to spare them the agony of what’s to come. Wolverine’s healing powers were able to destroy the egg inside him so he’s the only one without an egg. Colossus, Storm, Kitty, Nightcrawler, Cyclops, and Lilandra have all been affected. However, the group is given a chance to fight for life; instead of just destroying the Brood Queen in a suicide mission, they can save the huge aliens, the Acanti, whom the Brood are enslaving as their living ships. Also, Storm has elemental powers in space! This story is a milestone also for other characters: Carol Danvers (former Ms. Marvel, the future Warbird of the Avengers) gets Binary powers and joins the Starjammers, and the New Mutants make their first appearance in the X-Men comic although the apparently already had their own comic. When the X-Men are away from Earth, Xavier has recruited another team of young mutants: Cannonball, Karma, Psyche, Sunspot, and Wolfsbane. Kitty’s pet dragon Lockheed is also introduced. In issue 168, the Morlocks are introduced. While Caliban made an appearance in an earlier issue, he seemed lonely and not part of a group of mutants. Here, he’s part of the Morlocks, who are deformed mutant who live underground in the sewers, and resent the X-Men for looking like humans and so being able to live in the sunlight. Storm has to fight their leader Callisto for Angel’s freedom and has to face the changes in her since she took over as the team leader. Madelyne Pryor is introduced and Xavier accepts Rogue into the team. In retrospect, I find it quite curious that Xavier lets Rogue into the X-Men as soon as he accepts her as his patient. He does this despite the fact that the core X-Men say that they can’t trust the former criminal. That could be a dangerous element in a fight where the team mates have to rely on each other all the time. Not to mention, that Rogue herself doesn’t appear too stable. From a writing point of view, her addition is great; the X-Men have become such a close-knit group of loyal friends that they need a disruptive element. Wolverine used to be such and Kitty to extend is still, because of her inexperience, but they have both already proven themselves reliable. Then, the X-Men head to Japan to Wolverine’s and Lady Mariko Yashida’s wedding. A mysterious villain stalks them with hints that the Phoenix might be returning while the Silver Samurai and the Viper try to kill Lady Mariko so that the Samurai can become the head of the powerful Yashida clan. In the final issue Kitty has to face Caliban again and the promises she made in the earlier Morlock adventure. Storm goes through huge chances here. Throughout the first half of the collection she has to make bitter decisions both as the team leader and as an individual. She vowed long ago that she would never kill but she has to kill the Brood egg inside her and the make the decision to oppose the Brood to the death. Later, she fights a duel with Callisto and essentially kills her. She’s questioning her beliefs and her place in the X-Men, and that also affects her powers and her connection of the Earth. Her feelings affect the weather around her and so she has to keep them under tight control and that’s chafing. Then she meets Yukio in Japan. Yukio is carefree and Ororo envies her. In the end, Ororo decides to stay with the X-Men and accept the changes in her. Cyclops also goes through changes. He finds out that he’s not an orphan but has a father and grandparents. However, that isn’t explored much, in the end. He has a fling with a sea ship captain and then meets Madelyne Pyror, his future wife and Jean Grey look-a-like. Kitty is just fourteen at the start of this collection and already she has to face death when the Brood egg hatches. She grows up a lot as is seen in the last issue. I enjoyed this collection hugely. Because of the way that the Finnish edition of the X-Men was published, I didn’t read these stories first. My first X-Men stories are in the next collection, in the Claremont/ John Romita Jr. era, so I got to see the consequences of some of these stories first; reading Inferno before the first appearance of Pryor. This a collection of classic Claremont tales. Most of the stories span a couple of issues and some subplots even five issues. The collection starts with the X-Men confronting Doctor Doom for the first time. Arcade’s assistant Miss Locke has kidnapped all of the X-Men’s loved ones: Nightcrawler’s girlfriend Amanda, Jean Grey’s parents, Colossus’ little sister Illyana, Angel’s girlfriend Candy, Banshee’s wife Moira MacTaggert, and Kitty’s dance teacher Stevie Hunter. Apparently, Dr. Doom has kidnapped Arcade and Locke wants the X-Men to free him or she will kill the hostages. But Storm has a plan: she recruits old X-Men: Ice Man, Havok, Polaris, and Banshee. The active X-Men (Nightcrawler, Colossus, Storm, Wolverine, and Angel) head over to Doom’s palace and the other team tries to locate and free the hostages. Dr. Doom captures one team and the other falls victim to Arcade’s Murderworld but of course, the teams manage to fight their way free. Doom encapsulates Storm into solid chrome. Unfortunately, she suffers from claustrophobia and this treatment makes her panic. Her mind gathers up elemental powers while she’s immobile inside the chrome. When she’s freed from the chrome, she almost destroys the palace and everyone in it before Colossus can talk her out of it. Dr. Doom and Ororo are attracted to each other but nothing comes out of it. This seems to be a recurring element in Claremont’s writing; later Ororo is attracted to Arkon and Dracula. Another recurring element is that Ororo misplaces her uniform and is wearing a lot less. Meanwhile, Cyclops and her new employer/love interest Aleytys Forrester, a ship captain, have been washed overboard during a storm. They wake up on a new island which they explore for a few issues. Then they find out that they are on Magneto’s island. He has simply made the island rise from the sea. In issue 148 Dazzler makes a brief appearance and Storm and Spider-Woman battle Caliban who is just looking for other mutants. Angel leaves the group because he can’t tolerate Wolverine and Banshee finds out that he has a grown daughter. This issue is quite melancholy. In issue 149 Xavier sends the group to Magneto’s old base and they are attacked by Garokk who bears a grudge against Ororo. Kitty is ordered to stay behind but she sneaks aboard the Blackbird and is quite useful. The next issue centers on Magneto. He gives the world powers an ultimatum to surrender, which they don’t do, of course, and the X-Men journey to his island. They unite with Cyclops and Lee. However, for the first time, we’re told about Magneto’s past as a Holocaust survivor and he starts to see that he’s becoming similar to the men whom he hates to much. This is a turning point to Magneto. Next is a two-issue story arc which shows the true colors of Emma Frost. Kitty’s parents send her to school which is run by Frost and her cronies. Ororo takes Kitty to the new school and Frost take advantage of that; she switches her mind to Ororo’s body intending to infiltrate the X-Men. Meanwhile, Ororo is in Frost’s body. Interestingly, their powers remain with their bodies so Frost can now control weather and Ororo has telepathy which she isn’t used to. Then starts a longer storyline. Shi’ar’s Empress Lilandra has been kidnapped and the clues point to Earth. Starjammer’s leader Corsair races to the X-Mansion to warn the X-Men. The Shi’ar give an ultimatum to the X-Men to find the Empress or the Earth will be ravaged. The Empress has been really taken by Deathcry and the Brood, and the X-Men will have to fight a lot of enemies, including the Imperial Guard, to assure Earth’s safety. However, Xavier falls into a coma. Scott finds out that Corsair is his father and learns more about his parents. With issue 158 starts a string of one-shot issues. First, the X-Men decide to erase all knowledge of themselves from Pentagon’s files. Carol Danvers helps them get access but they run into Rogue and Mystique who are on their own mission in the Pentagon. However, Carol manages to erase all information about the team and about herself, too. Interestingly, Rogue is depicted here as an older woman with crow’s feet around her eyes and her two white streaks look like graying hair rather than the fashion statement they look like later. The next issue is somewhat cheesy confrontation between the X-Men and Dracula. The famous vampire bites Ororo and tries to seduce her into a vampire. However, he respects Storm’s bravery, strength and beauty too much to force her to become a vampire. Yup, reads like a love letter to the wind rider. The next issue, 160, is a classic. X-Men meet the demon Belasco for the first time. The demon kidnaps Illyana into his dimension where time moves differently and Illyana grows into a teenager until our heroes can rescue her. Belasco gives her an amulet with places for five stones and says that she will reach her destiny when all five are in place. 13-year-old Illyana returns with three in place and the X-Men don’t know how or with whom she’s spent her time in Limbo. However, Peter is still happy to get his sister back even though she’s clearly changed. I really enjoyed this issue because we get a glimpse of the X-Men from a different time line where they didn’t manage to flee from Belasco’s dimension. 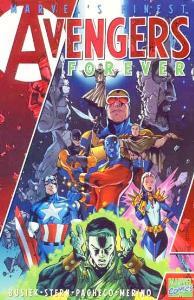 The last issue centers on Xavier. He’s still in the coma and is dreaming about his past. Twenty years ago he encountered Magneto but knew him as Magnus. Together they fought the rising powers of Hydra. The issue also sets up the long Brood space adventure (one of my favorites). Annual 4 explores Kurt’s past. In the middle of Kurt’s 21st birthday celebration, a strange statue explodes on his face and he seems dead. However, Xavier calls on Doctor Strange who confirms that the Nightcrawler’s soul has been taken. When Strange is scanning Kurt, his kidnapper appears: Margali of the twisting ways. She kidnaps the rest of the X-Men to Dante’s hell where the team has to fight a whole hell of horrors. In Annual 5 the Fantastic Four investigate an alien woman who seems to shoot at nothing in the middle of New York. However, she’s a Shi’ar scout fighting against the reptilian aliens called the Badoon who wear invisibility suits. The Badoon ambush the FF, kill the Shi’ar, and kidnap Reed, Ben, and Johnny. Susan goes to the X-Men for help. Before she died, the Shi’ar managed to say “Arkon” and “Lilandra in danger”. So, the X-Men and the Invisible Girl travel to Arkon’s world. There they find out that the Badoon have taken over the world and the people need their help. Apparently, Ororo and Arkon are in love but decide to part ways because of their different duties. Arkon is quite a lover; when the Avengers visit his dimension, he and Wanda are attracted to each other and later he marries Thundra (so it’s not jut the women who are constantly in one romance or another). This is an enjoyable collection of stories. However, they aren’t quite as good or memorable as the ones in the previous collection. A crossover event in the X-Men titles. Second Coming ends the trilogy which started with Messiah Complex and continued with Messiah War. It deals with the events after House of M where mutants were almost wiped out and no new mutants where born, with the exception of the little girl Hope. She’s called the Mutant Messiah and a lot of people want to get their hands on her. In the end Cable took her to the future and raised her there to a teenager. Now, Cable and Hope are back in the X-Men time line. Cable and Hope return to the Xavier Institute of Higher Learning, only to find it in ruins. Hope almost gives up then, saying that everything she touches, dies. But they are attacked by masked men and the duo swings into action. Then the X-Men find Hope and Cable through Cerebro, and of course they want to bring Hope to Utopia, to safety. Bastion and his forces are determined to exterminate all mutants and they have a terrifying plan for it. The X-Men are in for a brutal fight where three X-Men are slain and some X-Men have to kill, too. In the end, the team tears itself in two. Hope and Cable were a great team. They fight together in a way that says that they have been doing it for years. They argue and scream at each other, and apologize. In a word, they are a family. Hope says that she’s tired of fighting but when Cable’s in trouble, she doesn’t hesitate to defend him, even against Cyclops’ orders. Cable is clearly Hope’s teacher and the only father she’s ever known, even though they aren’t blood relatives. Hope has grown up in a war torn world where mutants are hunted and killed. A few times she looks a longingly at hair products in stores they break into and we’re reminded that she’s just a teen aged girl. Unfortunately, the art makes her look like an adult, especially when Greg Land is the artist. This is not a good starting point for new readers. A lot of the pain and difficult choices the characters go through have more impact when you know the characters and their relationships. The characters aren’t introduced to the reader beyond names and powers. At one point, things are so desperate that Cyclops sends a team to the future. A couple of X-Men had died and some others had been seriously wounded (I’m talking about lost limbs here!) at that point and I was sure that the time travel would just erase everything back to the way they were before the fight. So this move actually lessened my interest instead of having the feeling that the stakes were raised. Boy, was I wrong! Nope, none of it was erased! One of my favorite X-Men is still dead. None of the characters are let off lightly and the story sets up many, many possible continuations. I read this storyline in the Finnish edition and the comic was under a cancellation threat. Happily, the fans answered and the comic isn’t going to be canceled, after all. Just one look at the, er, tangled situation of the various X-Men comics in US made me happy to continue with the Finnish edition.